Eucalyptus Systems has inked a partnership with GroundWork Open Source. The deal should make it easier for corporate IT administrators and MSPs to manage applications running in the Eucalyptus open source cloud platform. Here’s the deal. First, a little background. Dozens of closed source and open source companies are battling for the cloud management spotlight. 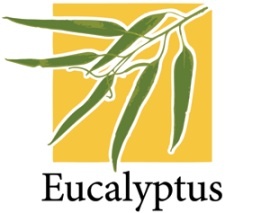 Eucalyptus is gaining attention for a few reasons, including the decision to hire MySQL veteran Marten Mickos as CEO. Plenty of companies are working on cloud monitoring platforms. Two examples involve Level Platforms and Nimsoft. Level Platforms was among the first MSP software providers to monitor Microsoft BPOS (Business Productivity Online Suite), Nimsoft (now owned by CA) has launched a dashboard for a range of cloud systems. On its own, the Eucalyptus-Groundwork deal doesn’t sound huge. But we suspect Eucalyptus will be making additional moves in the weeks ahead. Additional insights from Joe Panettieri. Sign up for MSPmentor’s weekly Enewsletter, Webcasts and Resource Center. And follow us via RSS; Facebook; Identi.ca; and Twitter. Plus, check out more MSP voices at www.MSPtweet.com.